These Apricot & Toasted Coconut Breakfast Bars are an easy grab-and-go meal when you’re in a rush in the morning and you don’t have time for a sit-down breakfast. Dried fruit, coconut, and seeds make these bars chewy and delicious for a satisfying meal on the go. 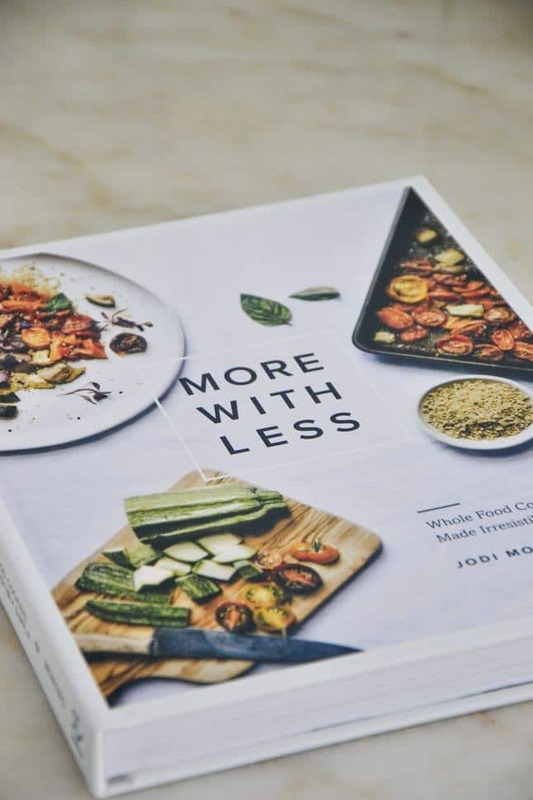 Today I’m sharing a fabulous and super easy new recipe from one of my dear friends, Jodi Moreno’s beautiful new book, More With Less. 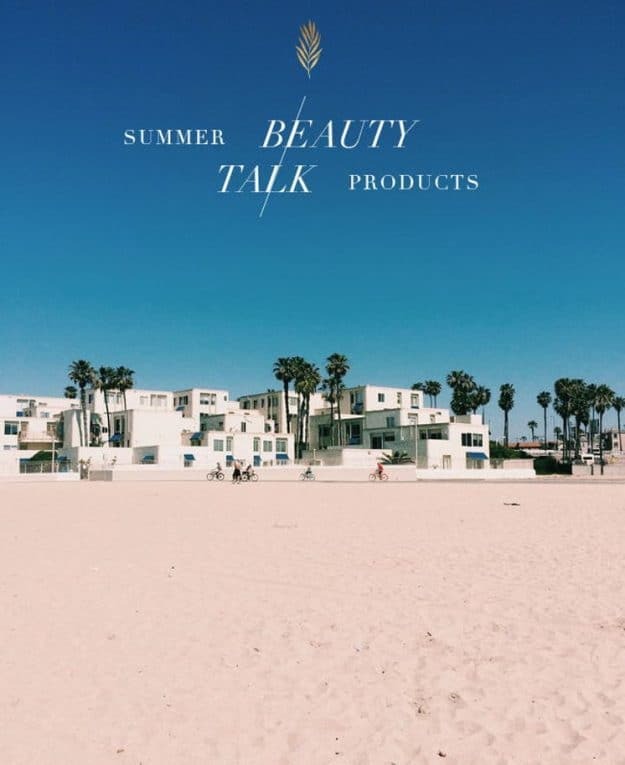 Jodi is the founder of the gorgeous website What’s Cooking Good Looking (check it out!) Her cookbook is absolutely gorgeous (see below for the cover) and uses simple ingredients that both you and I love. 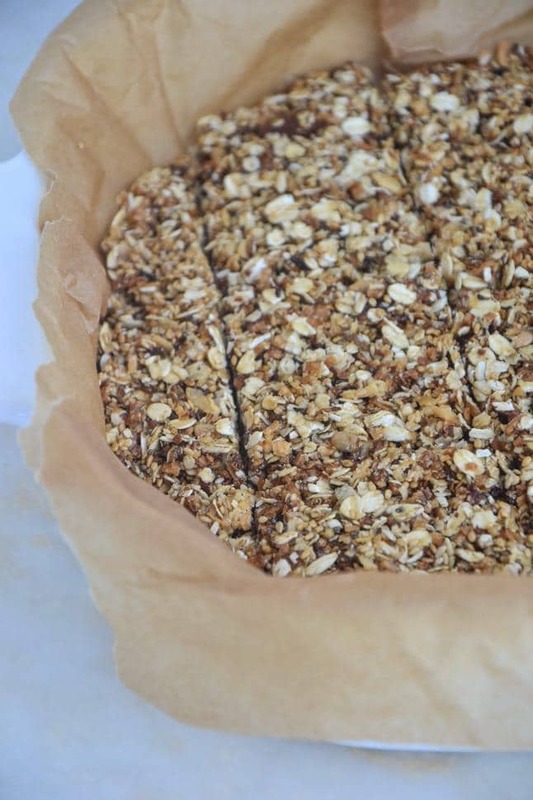 These breakfast bars caught my eye and I couldn’t resist making them for all of you. They’re easy, they’re flavorful and they’re loaded with protein, fiber, and healthy fats. These bars are ideal for those busy mornings when you don’t have time to make yourself breakfast. You can make a batch on Sunday night and store them in your fridge individually wrapped in parchment paper and then toss them into your bag as you head out to work. They also double very nicely as a snack when your blood sugar drops mid-day around 3 PM so I highly suggest you bring a bar to work with you so you don’t have to deal with the vending machine in your office. I can’t wait to share these delicious Apricot & Toasted Coconut Breakfast Bars with you! I tossed all the ingredients together in a large bowl (see below for directions) and then transferred the mixture to a baking dish lined with parchment paper. I sprinkled a bit more sea salt on top because I LOVE a really good sweet n’ salty combo. Feel free to use dried cherries, blueberries or any other dried fruit you’d like to use here if you don’t have apricots. You can also switch up the seeds with nuts as Jodi notes in her book. Be sure to check out More With Less and enjoy these super chewy Apricot & Coconut Breakfast Bars. These Apricot & Toasted Coconut Breakfast Bars are an easy grab-and-go meal when you're in a rush in the morning and you don't have time for a sit-down breakfast. 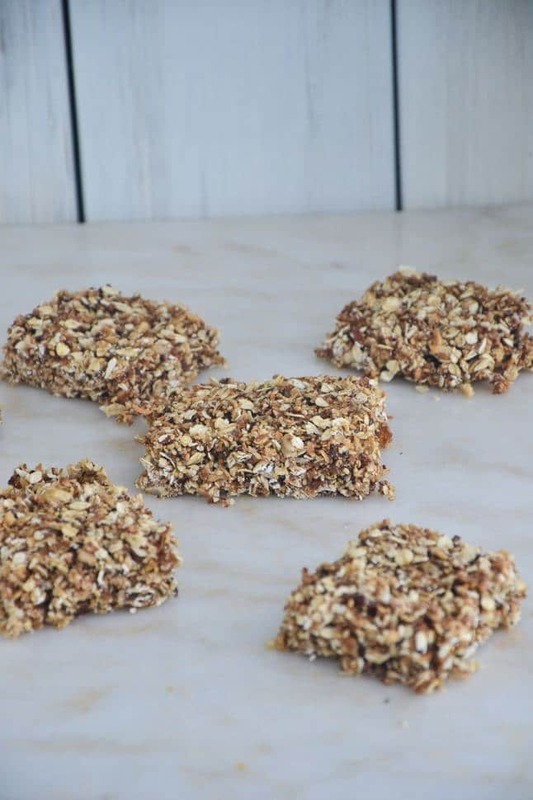 Dried fruit, coconut, seeds, and nuts make these bars chewy and delicious for a satisfying meal on the go. Line the baking dish with parchment paper and set aside. Put the coconut, sesame seeds, and sunflower seeds in a dry frying pan and toast over low heat until the coconut is lightly browned and fragrant, about 2-3 minutes. Transfer to a large mixing bowl and add in the oats, apricots, honey and a pinch of sea salt and stir until all of the ingredients are incorporated. Transfer the mixture to the baking dish and using wet fingers, press it evenly into the dish. Cover and cool in the fridge for 3 hours. Slice into bars and serve. Store in the fridge wrapped individually in parchment paper. This looks delicious! I was just wondering if you can think of anything to substitute for the GF oats? 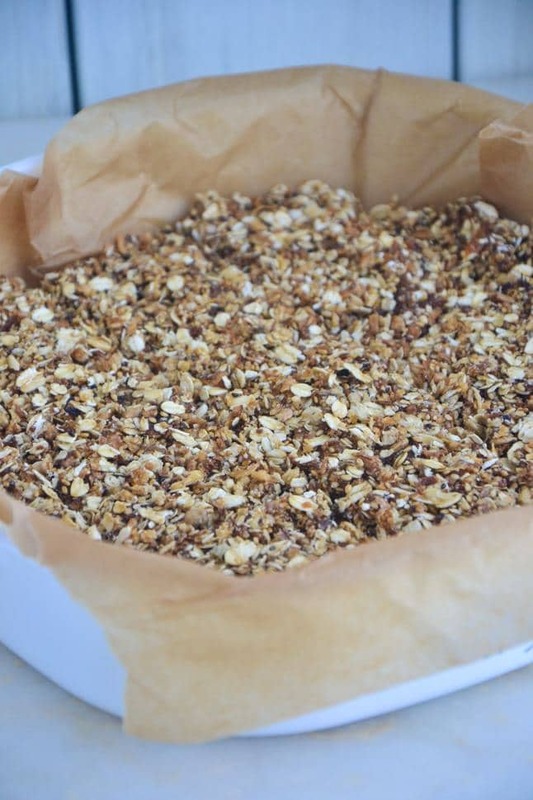 I (like many with celiacs) don’t do well with tons of oats but not sure what else might work. Made these last night, taste delicious but they did not stick together at all!!! They are not bars, just tasty little crumbs! Could use them to have with yogurt. Wonder what went wrong?